Come live the HOLLY TREE LIFE... at 109 Holly Hill Lane. It offers so much, from spacious treed lot to spacious renewed house, this property gives you room to grow and rooms to enjoy....so many places to enjoy outside too! A 43 ft. front porch, a large screened porch out back and covered and open decks...Cooking just got better -- Kitchen is well located with a roomy breakfast area, SUB ZERO FRIDGE and NEW Slide in Range with Dakor hood. And off the kitchen is a HUGE LAUNDRY with a pantry closet and sink....The BASEMENT holds some real treasures...It's ALL heated and cooled, including the large REC ROOM with fireplace, full bath with tub, 22 ft WORKSHOP with yard access and just waiting for your imagination is a huge 30 foot deep partially finished area with french door to a deck...And keeping everything safe and dry is a brand NEW ROOF....AND for you tech folks, the House is WIRED with coax and cat-5 with SURROUND SOUND in the den... Make the call to end your house search TODAY! 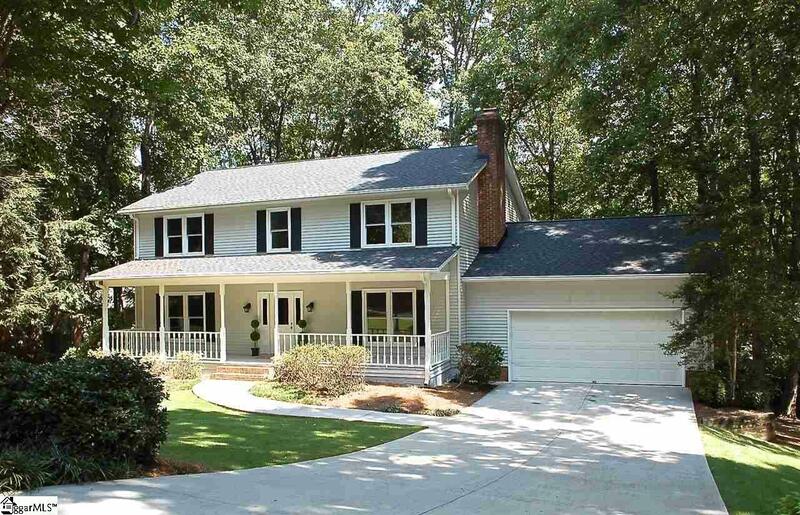 Listing provided courtesy of Mona Lisa Harrison of The Carolina Agent Grp Gville.